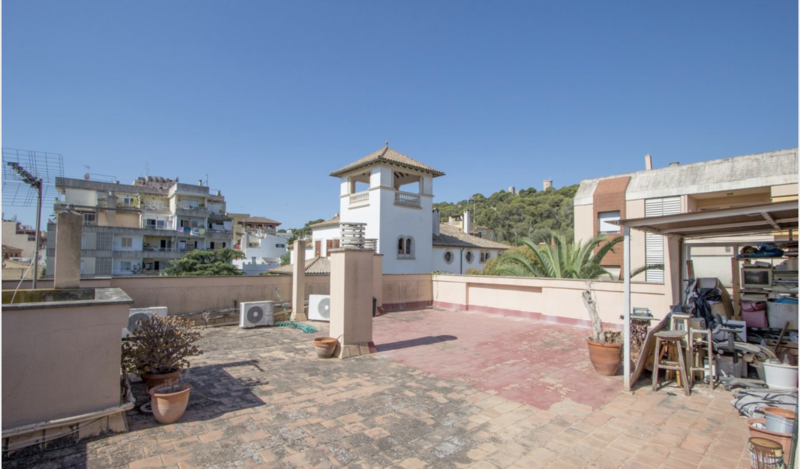 Elegant penthouse located in the sought-after area of Son Armadans offering 113m2 of living area with terrace on the same level of 20m2, a balcony of 4m2 and a private roof terrace of 100m2. Marble floors in living room, bathrooms and kitchen and parquet in the bedrooms. 3 double bedrooms with fit-in wardrobes and 1 single-bedroom, 2 bathrooms, a spacious living/dining room with access to the spacious terrace enjoying panoramic views. The apartment was completely renovated in 2016 and comes fully Furnished.